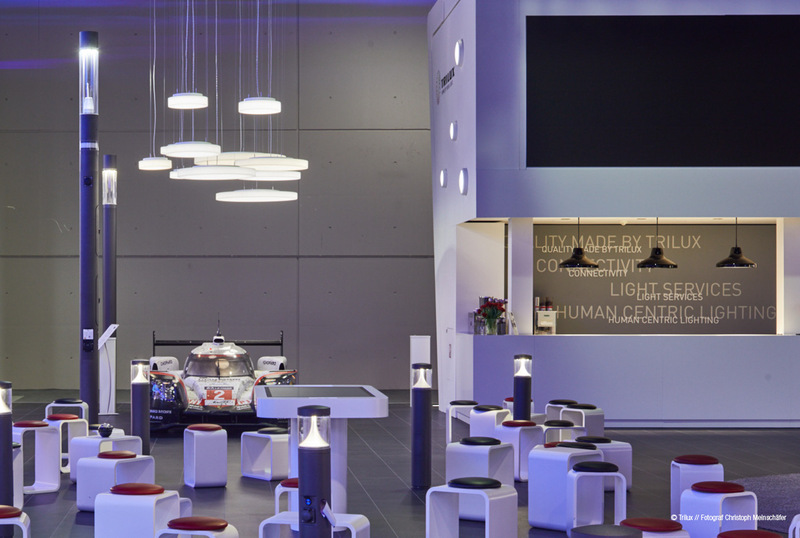 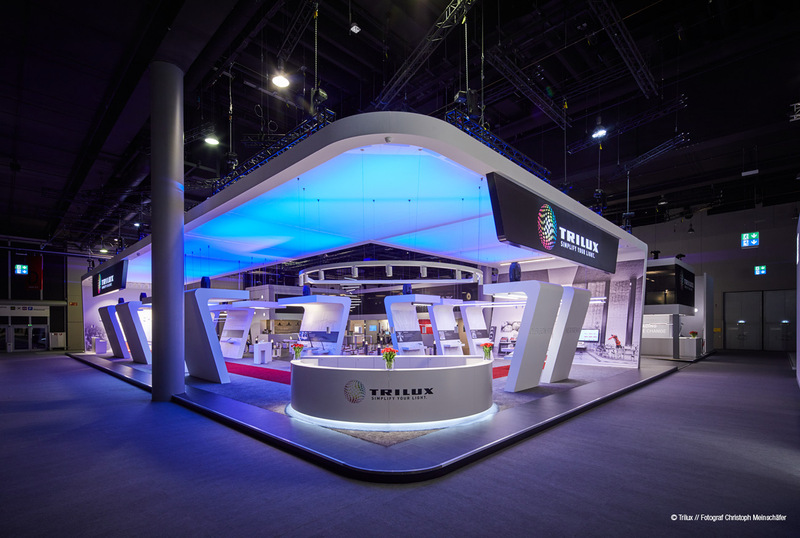 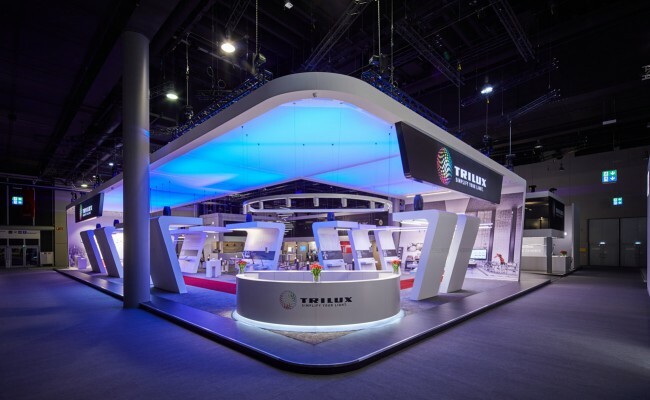 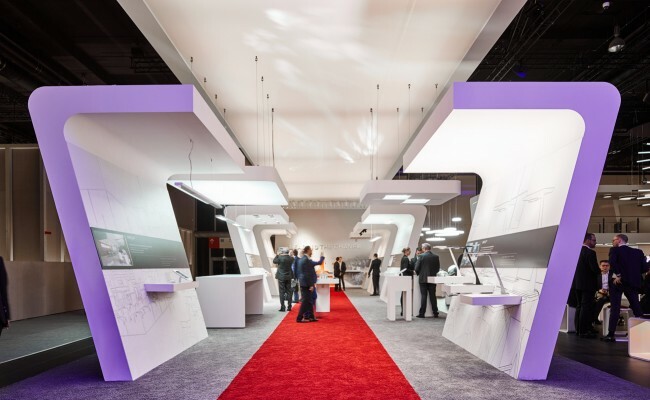 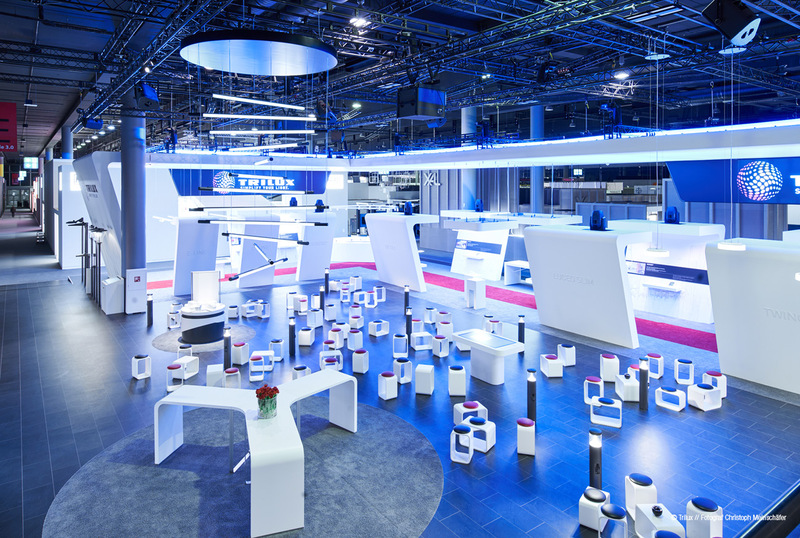 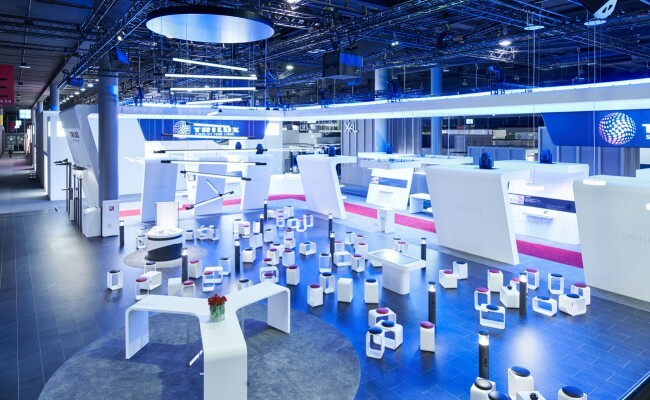 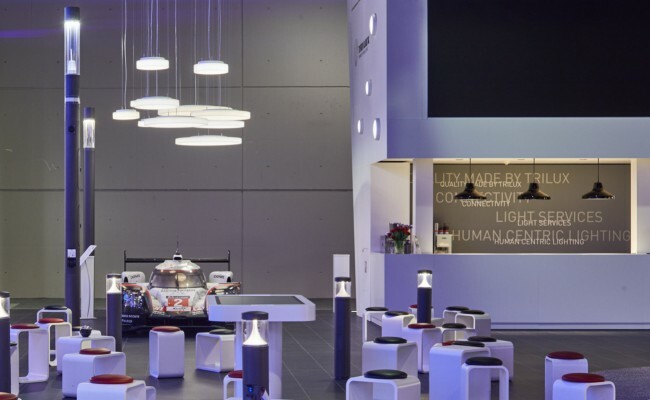 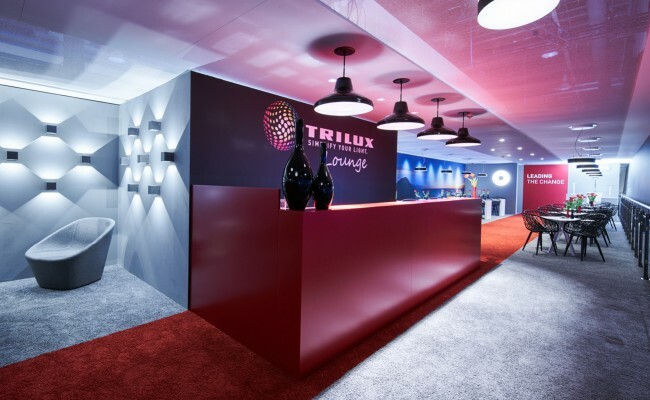 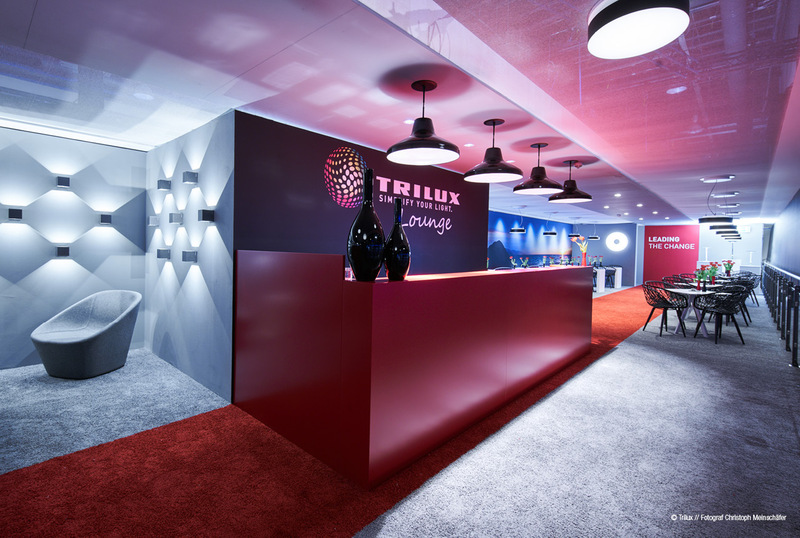 Light and in particular HCL (Human Centric Light) is a central element of the new trade show presence of lighting manufacturer Trilux, skilfully managed to creates zoning and redefine space. 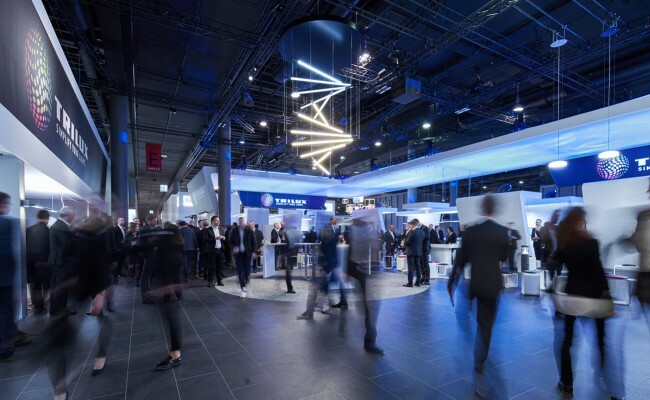 jack be nimble were invited to participate as lighting designer and to take on the challenge of developing a lighting concept led by the company’s products. 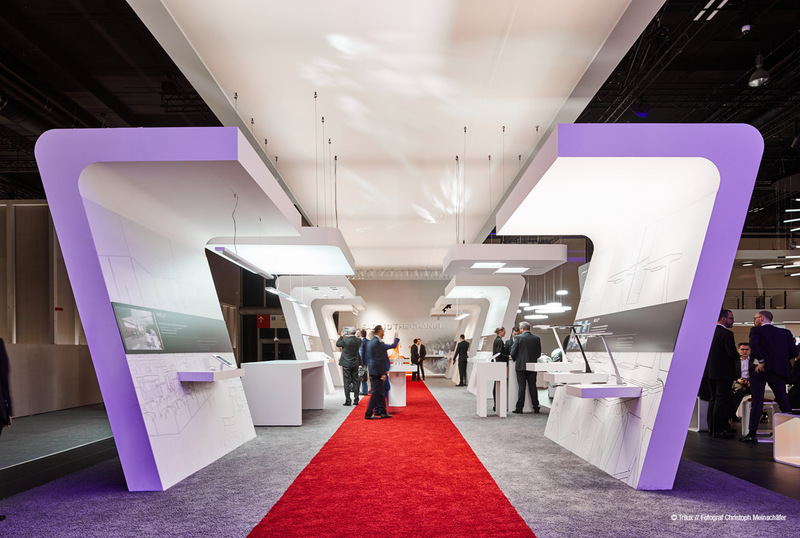 The booth is open and invites you to linger on the spacious "Plaza". 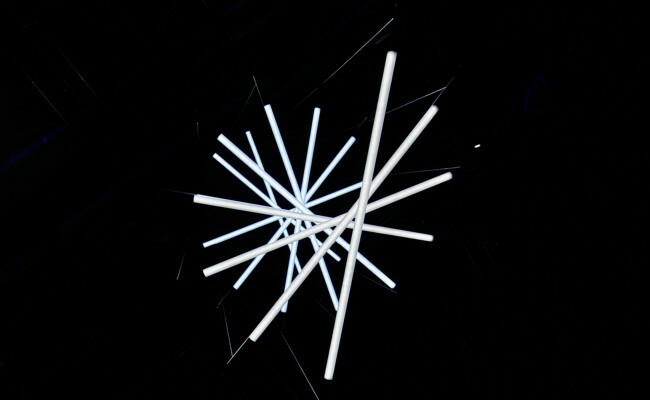 The central square with its outdoor atmosphere contrasts with the surrounding brighter exhibition areas. 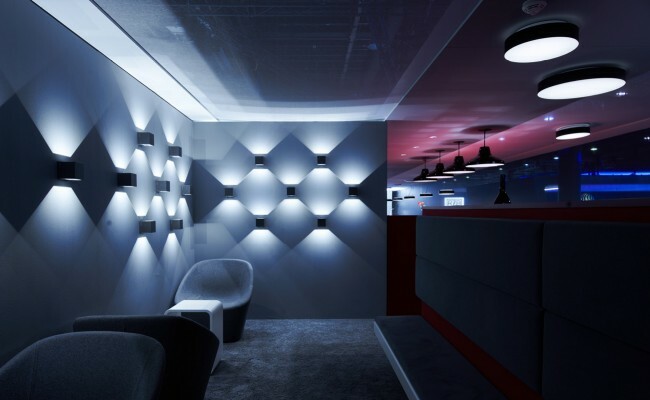 New product developments are presented on the "Walk of Light", where individual controls enable personal interaction with each luminaire. 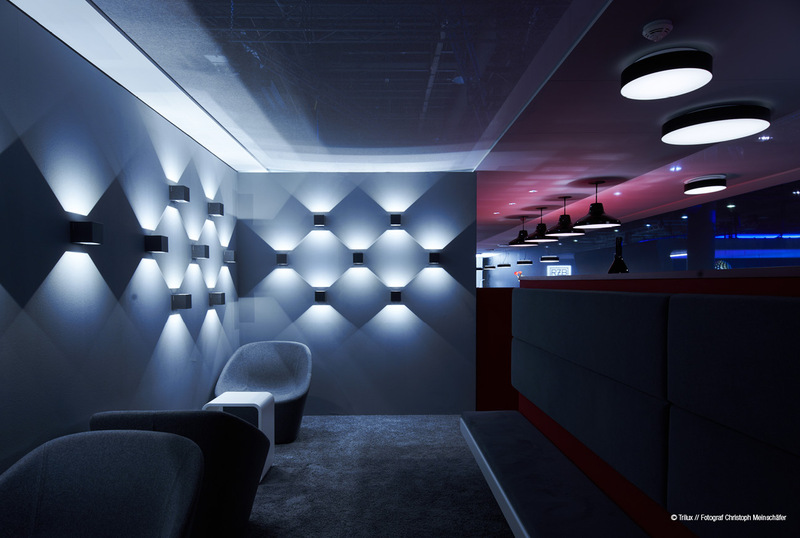 The "Lounge" on the upper floor provides attendees an area to retreat and relax amongst a scenographic arrangement of lights, partitions and ceilings. 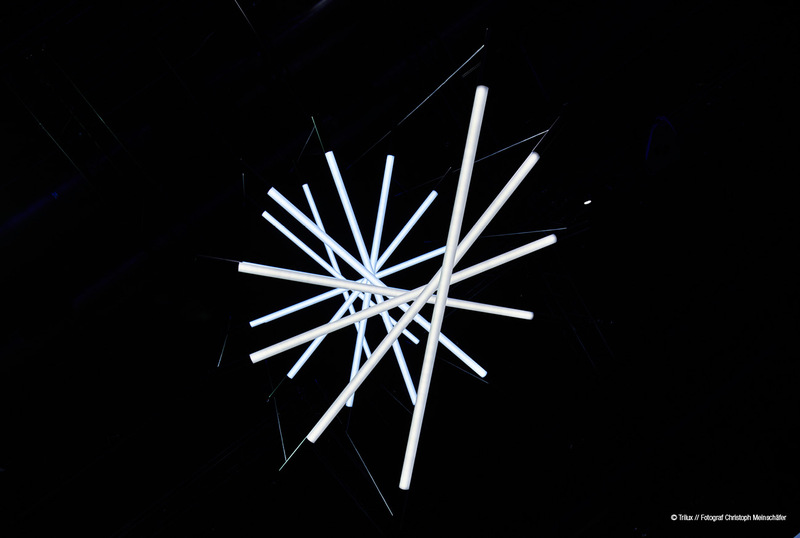 An innovative and modern suspended chandelier functions as an eye-catcher, visible from all sides and composed of separately controllable standard lights arranged in a star formation. 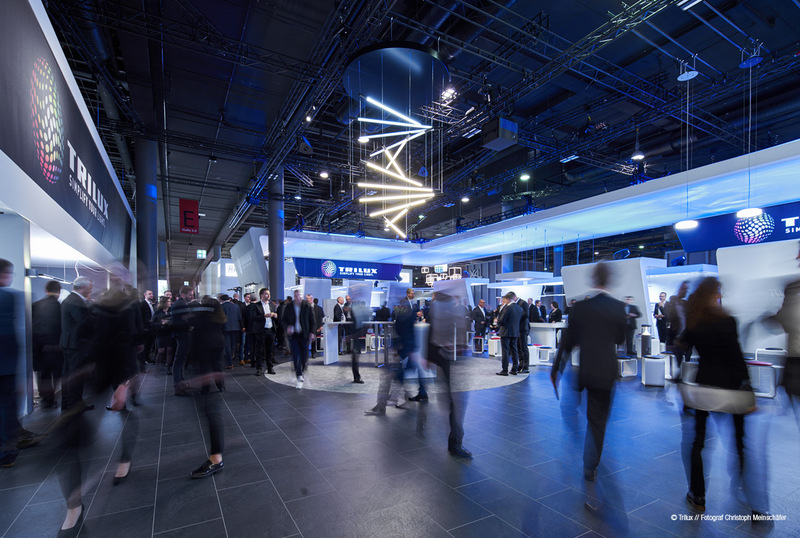 An orchestrated light and sound show is utilised across the entire exhibition stand at regular intervals to bring the medium of light to life for each visitor.